Here we present our online survey trends for 2018. 2017 was a rollercoaster year, bringing with it an avalanche of new trends and changes. We believe many of them foreshadow what’s to come this year. Online chatter is noisier than ever, but for CX professionals, getting hold of solid and measurable feedback is still really tough. To help you build your online survey program for 2018, we took a look at the key trends driving customer behaviour and interaction. We’ve taken insight from leading analysts like Gartner and Forrester, top brands like Amazon and CapitalOne and looked at what the major players in the world of CX are saying, about how to get better customer feedback in a breakneck-speed world. And where the consumer market goes, so we all follow. Leading brands with huge budgets have made commerce incredibly easy, and this has a trickle down effect on all businesses, whether they be B2C or B2B. For 2018, we believe it will be imperative to focus your entire company on delivering a positive customer experience, not just front line or customer-facing staff. This is the key to innovating from inside your business, thereby securing new growth opportunities. The impact on your online surveys means that they will have to adapt the main areas they focus on. You will have to move beyond a focus on products and services, through to survey methods that allow you to capture feedback about the experience at every level – from the first to the last touchpoint within the business. It’s all about creating experiences that meet or exceed customer expectations to drive profits. Your online survey therefore needs to understand whether the experiences the customer had, met or exceeded their expectations. Of course, so many things go into shaping an experience; from ad to online shop, from support to social media interactions. You simply can’t afford to survey for them all using traditional long-format methods. 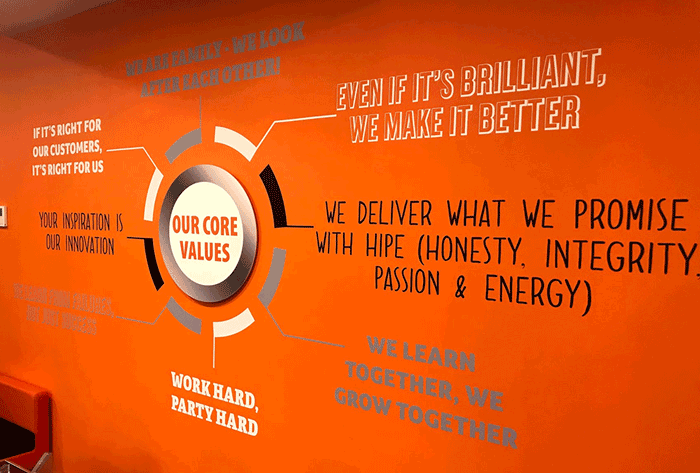 Vanarama, which has been listed as one of the top companies to work for by The Sunday Times, cites its customer obsession as key to its success. We are proud to have them as a customer. When we spoke to them recently, their Operations Director, Jon Gilbert, explained that one of the keys to their performance is having a team dedicated to customer success, no matter what. “Our staff’s reaction to the feedback has been one of the most positive things about implementing these 1-click surveys. In order to drive a customer-obsessed culture, you must get the actionable insights from your online surveys back into the heart of the people who can use it most effectively – your customer-facing staff. Customer insight is no longer an isolated research exercise. If your survey approach doesn’t (or can’t) change anything, ask yourself: what’s the point in gathering it? Check out our tried and tested process for handling customer feedback. Techcrunch reported this week that Amazon shipped 5 billion (yes, with a b!) parcels through Amazon Prime alone in 2017. Powering that growth, is the ease with which you can buy from Amazon. 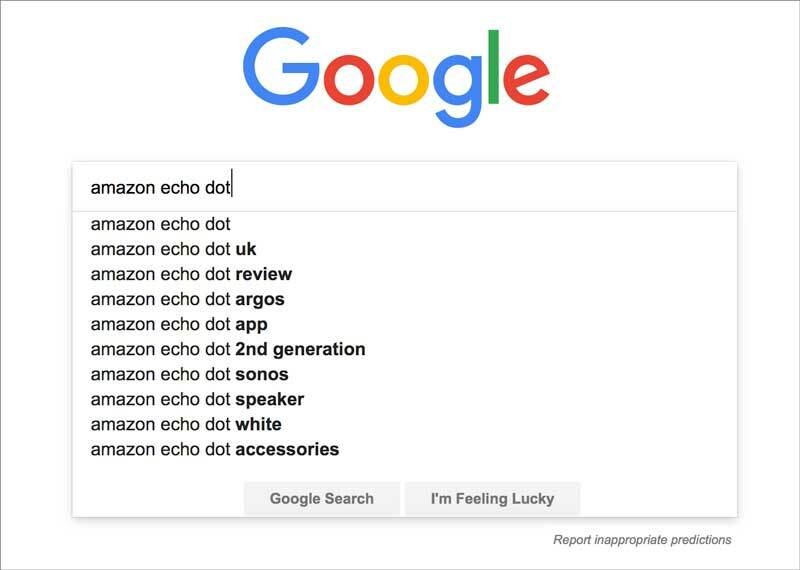 They’ve worked incredibly hard to execute a one click (or in Alexa’s case, one word) ordering process. (One click is something we wholeheartedly agree with). 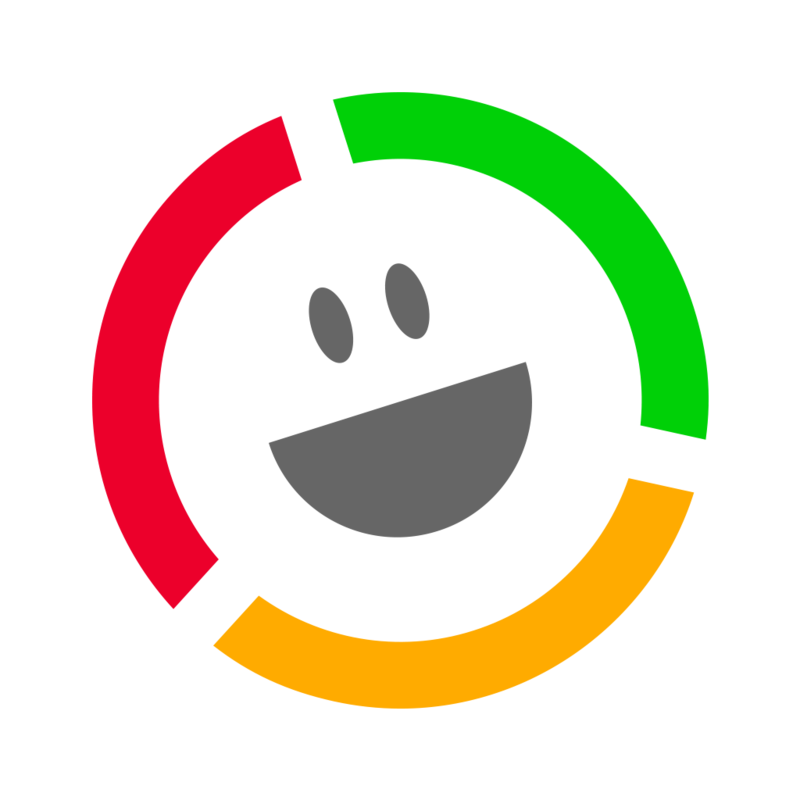 They make providing feedback as easy as pie, with one click rating systems on top of their one click ordering. … a site where your credit card is already saved for example. … a site where you know delivery is quick and returns and no quibble. In seeking customer feedback, you have to make it as easy as possible too. If your surveys are too long or too tiny to fill in on a mobile device you’ve got a problem. In 2018, look for ways to make the feedback process a more intertwined part of the customer interactions you’re already having. It reduces communication overload and makes the feedback itself more immediate and more relevant. Reviews and feedback are hugely important to so many of today’s leading brand business models. Many consumers will now wait for online reviews to be released before buying a product. People are used to writing online reviews, and rating products. How can you harness that in your online survey approach? Try and mimic the ratings process to get feedback from more points of customer interaction. We wrote recently on building customer trust and how you can take this kind of ratings thinking and apply it to certain aspects of your online survey program. 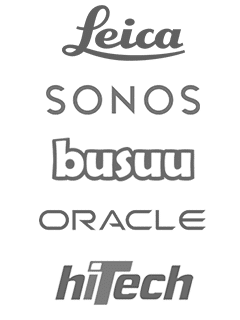 How are the leading consumer brands getting customer feedback right now? Amazon, Uber, Apple, Facebook… none of these brands actively deploy time-consuming, multi-question feedback methods. And where they lead, we all follow. We collated a snapshot of how brands are embracing microsurveys, in our post “10 short survey examples from leading brands”. 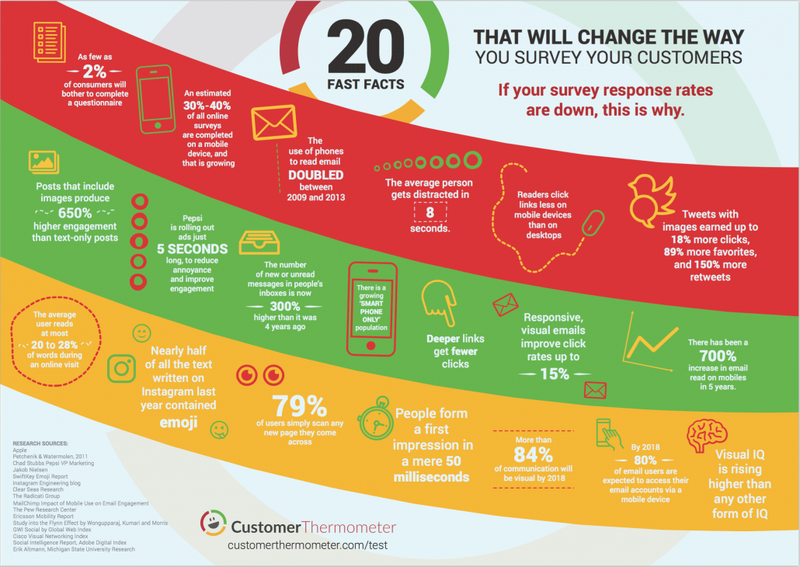 As customer survey response rates decline (and this infographic shows why they are declining so fast), 2018 is a year you should add the power of the microsurvey to your arsenal. If you can’t see your customer’s feedback the minute they’ve left it, you’re behind the curve. Feedback is at the peak of its value in real time. 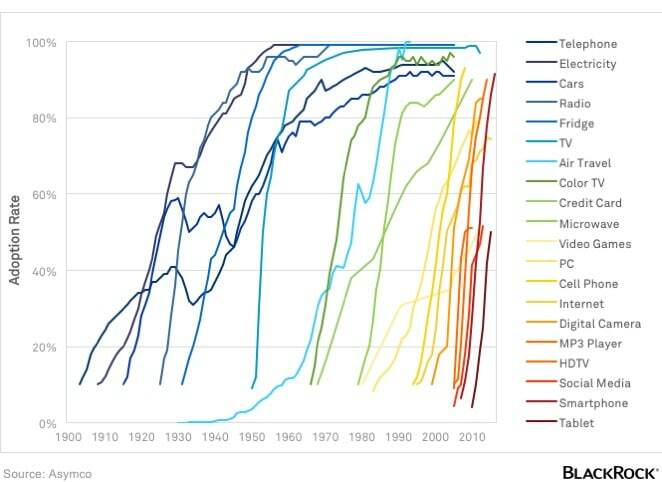 Blackrock’s recent research into US tech adoption shows how dramatically quickly we all embrace new and better ways of doing things. As you can see, the lines become increasingly vertical as you get closer to the present day. Consider this in combination with the customer experience ecosystem point we made at the start of this post. You need to rapidly assimilate the channels consumers are embracing to stay relevant. For example, UK retailer, Next just released better-than-forecast sales figures for the 2017 holiday season. One of the major reasons for this growth was its ability to deliver before midday if you order by midnight the previous evening. Currently, they are one of the few fashion retailers to offer this service in the UK. They are winning, because they are embracing the new technologies customers want to use to shop. The same goes for survey technology. You’re probably not out in the street with a survey clipboard any more. Consumers are getting used to giving (and receiving) feedback in shorter, snappier ways. It’s easy to focus on the algorithms and tech behind customer loyalty. But so often it’s the personal connections and recommendations behind the math that makes something so startlingly successful. Web Summit is one of the fastest growing events brands in history. Hailed “Glastonbury for Geeks” it has gone from 400 delegates to 50,000 in 6 years. In this fascinating post, the founder explains how they grow their audience using graph theory, astonishing attention to detail and personal recommendation. But how do you drive personal recommendation? 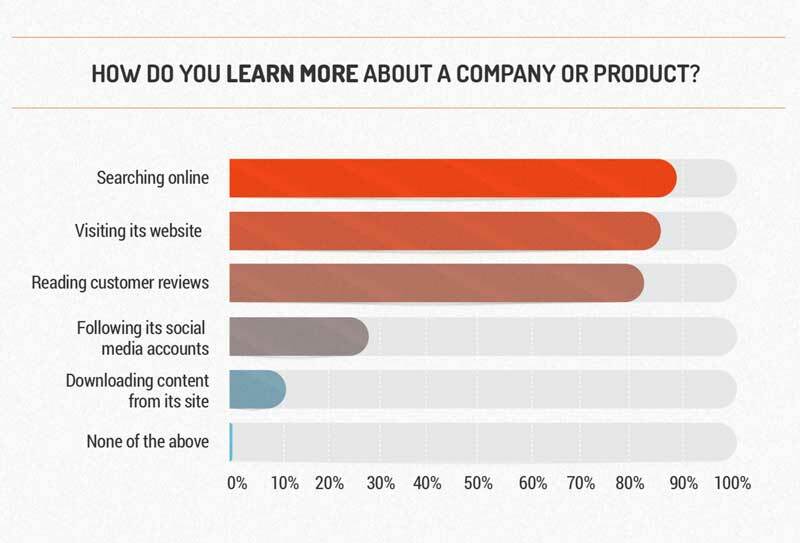 And what does it mean for your online surveys? We think personal recommendation is massive (and will increasingly become so with the advent of tribalism, see below). Driving word of mouth will be increasingly important so that people want to create and share stories about your brand. Consider using a single metric like NPS, CES or CSAT to ensure you’re finding out as much as possible about whether people would (and more critically, are) recommending you. In a world of big data, the voice of the one, is often buried by the statistics created by the many. Relying solely on the wisdom of crowds can often drown out the individual voices; that one piece of feedback can make all the difference if listened to, and acted upon. Wang claims that it’s these insights, which will help companies make the right business decisions. As an affiliate in Data & Society at Harvard University’s Berkman Klein Center for Internet Studies and New York University’s Interactive Telecommunication Program, Wang’s talk is engaging and deeply convincing. 2017 was a tumultuous year, and with an unpredictable Trump presidency in the US and Brexit affecting Europe, 2018 promises more upheaval. What can we learn from the emerging strands of 2017’s customer behaviour that will help plan 2018’s strategies? Instead of a collective purpose, the mass movement of people and ideas is sadly at present, dividing us. In response to reality show politics and black and white referenda, customers are becoming more tribal. Adding more fuel to this fire is “AI” and predictive news feeds. More enclosed in personal news feeds, messages and email, ads and content are shifting rapidly toward extreme personalization, powered by increasingly sophisticated algorithms and predictive models that analyze trends and topics. Customers are increasingly seeing (and recommending and sharing) only what they want to. This powerful article by The Atlantic explains how and why. 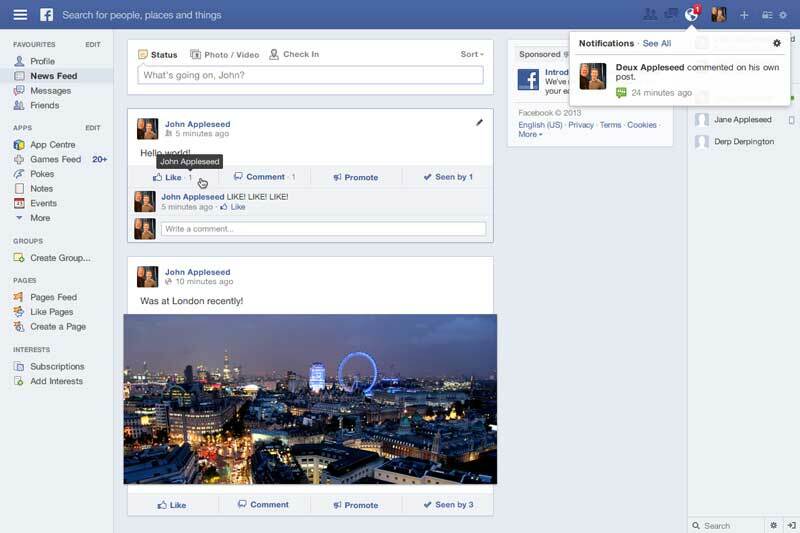 It’s highly likely the average Facebook user doesn’t realise how highly curated and personalised their news feed is. Social media feedback is therefore not even a small part of the picture for your brand, and may actually provide a very distorted version of the truth of your real customer satisfaction and loyalty. Recent brand loyalty research conducted by Customer Thermometer was widely covered recently by CBS, Marketing Profs, Social Media Today and others. Your staff have a huge part to play here. “People buy from people” has always been the famous mantra. But how does that work in a distributed digital economy? People buy people’s ideas, decision making and customer care. That’s how. For your 2018 survey program, take a look at how much feedback you get on your people’s performance. Make it personal. Your product might be getting rave reviews but how is it being supported? Your returns might be minimal but the few you get may be handled badly. Your technician appointment booking process might be on point, but are your techs failing to deliver on site? Your people contact points are a huge part of of the way emotional bonds are created with your brand, so seek to understand them in 2018. The FT’s Global Business Columnist, Rana Foroohar, cites increasing tech and data regulation as one of her major themes for 2018 in this video. GDPR (General Data Protection Regulation) and the increased cyber threat posed by criminals and foreign actors means that customer data will become ever-increasingly in the spotlight. 2018 will inevitably be a year of data reviews, spring cleans, focus and positive action, and CX professionals should read up on the regulations to stay ahead of the game. At the same time, there is a huge amount of fear, hyperbole and misinformation around GDPR. GDPR is not designed to prevent or inhibit day to day business and communication. It is intended to ensure that data owners and data processors uphold the security of their customer data with respect and care. We’d encourage you to read the ICO’s 12 point plan which is clear, pragmatic and sensible. Consider these trends alongside the way that you plan to solicit feedback in 2018 and beyond. Your survey program, methodology and technology says a lot about you as a company. There is a lot to consider in building your program; from data and loyalty through to customer behaviour and expectation. And customers are making decisions about your brand based on their experiences. Seek above all to understand how your customer wants to give you feedback. Do what is right, easy and sensible for them, rather than doing what has always been done. If you do that, you’ll ensure your online survey gets to the very heart of the customer experience. This 2018 online survey trends post was written by our CEO, Lindsay Willott.